Most people think of barbecue sauce as something you buy in the grocery store, which is thick, smoky, and made from tomatoes. Some have strong flavors and frequently overpower the taste of grilled and smoked meats. We, however, have a theory that this kind of sauce was invented to mask grilling mistakes. Burnt and overcooked meats are often thought to be salvaged by drowning them in this thick stuff. Of course, this method poses problems. Sauces made with sugars burn quickly and can cause more damage to the flavor of foods. This is why it is important to add most barbecue sauces at the very end of grilling or after you've removed everything from the grill. This is particularly true of fruit-based barbecue sauces. 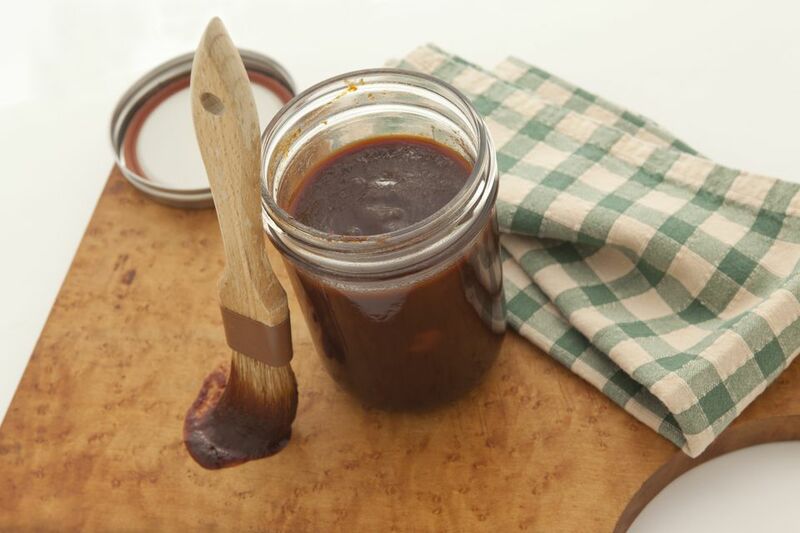 A barbecue sauce can be made from a combination of your favorite ingredients. Fruit-based sauces add a sweet flavor that can really enhance the smoked and grilled meats. After all, a tomato is a fruit. Really it is. Fruit-based sauces are easy to prepare and give such a unique flavor that you can really impress your guests with them. Remember, though, to use these sauced sparingly during grilling and apply a good coat right before you remove what you are cooking on the grill. One great way to add flavor while you are grilling is to take your sauce and water it down to a runny glaze. Lightly brush this baste over meats while cooking. Then apply the thick sauce at the very end, as this reduces the burning and adds moisture to meats. Fruit-based barbecue sauces are quite simple to prepare. A thickened solution of fruit juice or fruit preserves work well. We like to mix up the flavors, so I'll take fruit and combine them with other seasonings to create a more complex flavor. A great recipe is to take virtually any fruit preserve (jellies or jams) and add hot sauce or hot chili peppers. This will provide a sweet and spicy sauce. How about apricots and garlic? Simply adding fruit to traditional sauces helps make them much better. How about this apple barbecue sauce. There are, of course, a number of great fruit based sauces on the market that can be found in specialty stores or even your local grocery store. Fischer and Wieser makes a Raspberry Chipotle sauce that we personally love. We use it on all kinds of things, especially pork chops. Whether you buy them or make them yourself, try a good fruit-based barbecue sauce next time you are in the mood for something different. You just might give up on those plastic bottled tomato sauces forever.